The construction sector is one of the most dangerous workplaces in the United States. In 2012, there were 775 fatalities in the industry, and many of those were entirely preventable. One New York City group believes a solution to the problem is as simple as introducing a new generation of safety aids that integrate an innovative and heavy use of technology in safety equipment such as hardhats and vests to protect construction workers from injuries. According to federal data, up to 20 percent of workplace injuries and fatalities in the United States occur on construction worksites. Those accidents include falls, electrical injuries and electrocutions, as well as musculoskeletal injuries due to repetitive stress. A group called Human Condition hopes to reduce the number of injuries in the construction sector by integrating technology into the hardhats and vests that construction workers wear on a daily basis. These technologies include low-cost safety gear that incorporates sensors and other technologies to monitor safety data and even intervene before an accident takes place. The hard hat, for instance, is equipped with a work/alarm light, solar charging device as well as a QR code imprint. The safety vest includes repetitive motion sensors, an airbag collar fall protection system, a device to monitor the person’s vitals and a GPS sensor. The group says that the safety benefits from using such wearable technology on a construction worksite are numerous. For example, the hardhats’ sensors can pick up biometric signals and use technology to detect and report a fall. Employers can also monitor whether the safety gear is being used in an area of the workplace, which could increase the use of personal protection equipment. The LED work light on the hardhat helps the worker see better in dark areas. All this data is transmitted to a cloud-based processing and mobile dashboard interface that processes data about the location of the worker, repetitive motion and other information in real-time. That data can be used to determine a worker’s proximity to workplace hazards such as heavy machinery on the move, as well as specific body functions in order to predict the risk of injuries. A supervising engineer, for example, would be able to use data involving the worker’s location to warn him if he is entering a potentially dangerous zone, such as an area where a forklift or any other heavy industrial machinery operating. According to the researchers, such technology does not have to be expensive. Low-cost sensors and other technologies can be used to integrate enhanced personal protection systems into a typical construction worksite and make these wearable technologies the norm in the future, rather than an anomaly. 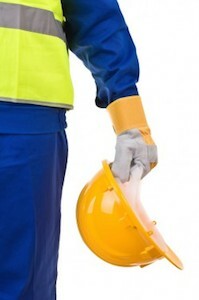 Until this type of safety equipment becomes commonplace, though, construction site injuries are likely to be frequent. That’s why it’s important for injured workers in Georgia to understand they can seek representation from a personal injury attorney if they are injured on the job.